By now you may be familiar with the outlines of this story: On Saturday evening, after Trump’s Muslim ban was announced, thousands of protesters began to gather at New York’s JFK airport. The New York Taxi Workers Alliance—the union for an industry that A) helps keep the airports running, and B) has a high percentage of immigrant workers—decided, on the spot, that there would be no taxi pickups at JFK between six and seven p.m. Saturday evening, in support of the protest. Their members complied. 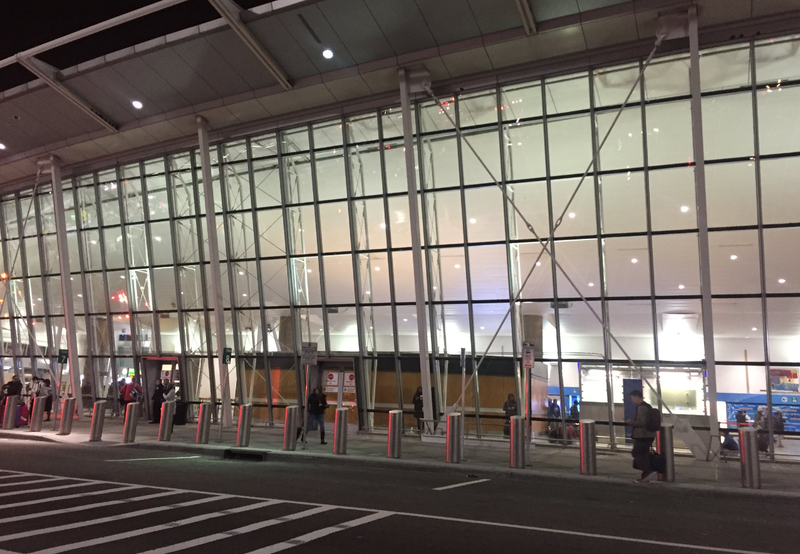 Taxi pickups stopped at one of America’s busiest airports. The protest and the NYTWA’s action gained immense national news attention. And JFK airport would have ground to a halt for at least that one hour—except for Uber, which responded to the strike by announcing that it was suspending surge pricing, thereby making it easier for people to continue to go to and from JFK during the taxi drivers’ work stoppage. This, even as Uber’s CEO was mewling pathetic assurances that he would use his seat on Trump’s economic advisory council to give the strongman a good talking-to about this whole immigrant ban. People were justifiably angry at Uber’s scab behavior. The hashtag #deleteUber took off, and people began taking their business elsewhere. This is all well and good. Uber is enormous, predatory, and has proven many times over that its stated political values are hollow. But this incident is not a lesson about one bad company; it is a lesson about why labor needs to be organized. Why were the taxi workers able to pull off this work action so fast? Because they have a union. And why weren’t Uber drivers—many of whom are also immigrants—able to join the taxi workers’ protest? Because they have no union. They are not organized. And therefore they are at the mercy of their company. (The company-approved, not-quite-a-union Drivers Guild tweeted its support for #DeleteUber, but the group is too weak or disorganized to actually make anything happen.) Here we have a perfect example of why it is so necessary for labor to be organized at a time when labor is facing severe political threats. Uber’s fig leaf “independent contractor” business model is a particularly dangerous trend for workers across the country. But Uber is just one company in one industry. What about your company, and your industry? Could you and your coworkers pull off a coordinated political action in a short amount of time, if the next political outrage lands on your doorstep? What if the situation in this country grows so dire that we need a general strike—a work stoppage across many different industries? Could you be sure that your company will participate, even if the boss says no? Could you be sure that your company wouldn’t pursue a business opportunity that is morally horrendous? Could you be sure that you won’t be forced to go along with something that you will regret for the rest of your life just because it will make your company money? These questions are no longer theoretical. Companies are very powerful, and they operate within an established framework of laws, and they will tend to go along with many, many politically reprehensible things if it will allow them to continue making money, because that is what they do. Companies do not, as a rule, draw a moral line in the sand or rise up against a corrupt system. Regular workers—human beings—are the ones who do that. And the only way regular workers do that in practice is by having a union in place when the crisis arrives. The companies that only want to profit are already organized. So are the political forces you despise. Are you? Don&apos;t Get Mad. Join A Union.